Are you looking for a high-quality, high-design seating system for your commercial space, waiting room or other seating areas? We have over 40 years' experience in the design, manufacture and production business and are here to offer some top tips on making a great choice for your investment. We always put the customer first. And over the years we’ve shown this time and again with our commitment to design innovation and industry-leading quality. We believe that the thing that truly sets us apart is our unique ability to continually push for better products when crafting these custom-tailored solutions. As such, we continually consider your needs as a business and the needs of the customer that will use the seating system. We’ll never compromise on the reputation for performance, reliability and design excellence that we’ve worked hard to build. Our seating systems come in a variety of shapes, sizes and materials that can make even the longest wait a comfortable one. Our carefully constructed ranges include ergonomically sculpted seats designed with maximum comfort in mind. That’s because we use high-quality foams and seats, backs and benches with upholstered or veneered plywood options. Our powder-coated perforated mild steel, brushed stainless steel and even fully moulded polyurethane can shape and support your customer's back for optimal comfort. And with the Zenky Plus, you get increased back height for further aesthetic and comfort possibilities. We offer more than just a fantastic product. Our brilliantly designed, innovative, exceptional quality seating system solutions are also produced with the needs of the environment and sustainability in mind. As responsible manufacturers that value our community, we are constantly exploring how to minimise the environmental impacts of our products and operations. We’re constantly looking at increased product longevity, better material selection, more sustainable design and improved waste management. Invest your business spending with us and you’re investing in the future of us all. We know that purchasing a seating system can be a significant business expense, but we offer a comprehensive service from browsing to installation and beyond. 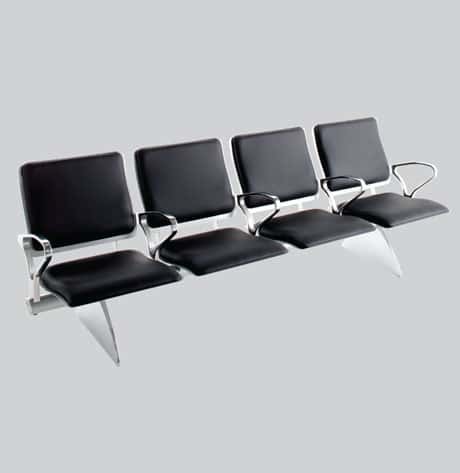 The team at Zoeftig has built a reputation as an international public seating supplier and manufacturer of design-led airport seating systems, public seating and beam seating that can be trusted. We’re the proud partner of global public seating provider Figueras International Seating Group and offer solutions for every space. Use the online enquiry form or give us a call on 01288 354 512 and we’ll be happy to help you further.